Over the holidays, I teamed up with some wonderful fashionistas bloggers and Instragrammers for a Secret Santa gift exchange, hosted by my friend Lee over at Legalee Blonde. The rules were you could only spend $35-40, including shipping. I’ve always enjoyed Secret Santa gift exchanges, and this one was no different! The only thing I dislike is that it can be hard to shop for someone you don’t personally know, but it was fun stalking her IG and blog to try to figure out what to buy. I was a Secret Santa for Heather over at A Little Casual. Heather has a PhD and was an exercise science teacher before she turned blogger. She blogs about fashion, fitness, and faith. You can also check out her Instagram here, and head on over to her blog to see her reveal the gifts I sent! My Secret Santa was Jolene of @morningcuppajo. 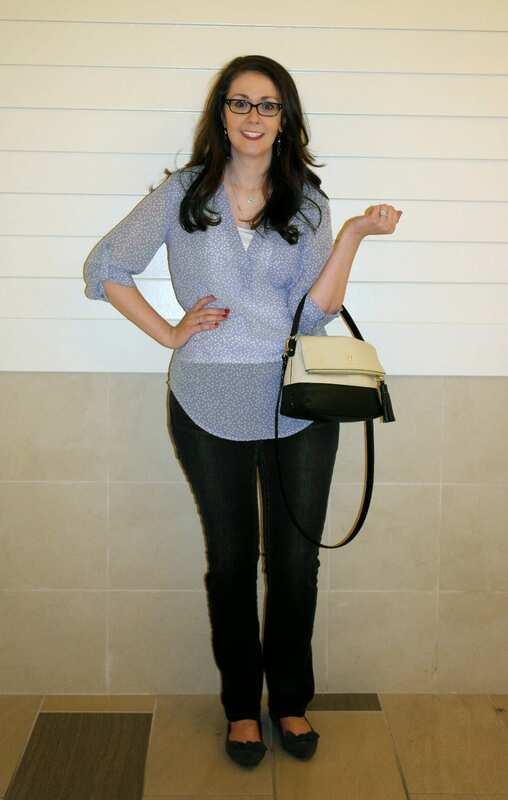 She and I are both budget fashionistas, and share a love of Maurices. My package was full of goodies!!! To start, I’ve been wanting to try to try those NYX blotting papers for a while, and that Hey Girl Hey! gum cracked me up! I love office supplies/stationary/notebooks, and this little notebook is perfect for jotting down notes! As much as I love my phone, I still to get things down on paper as well! 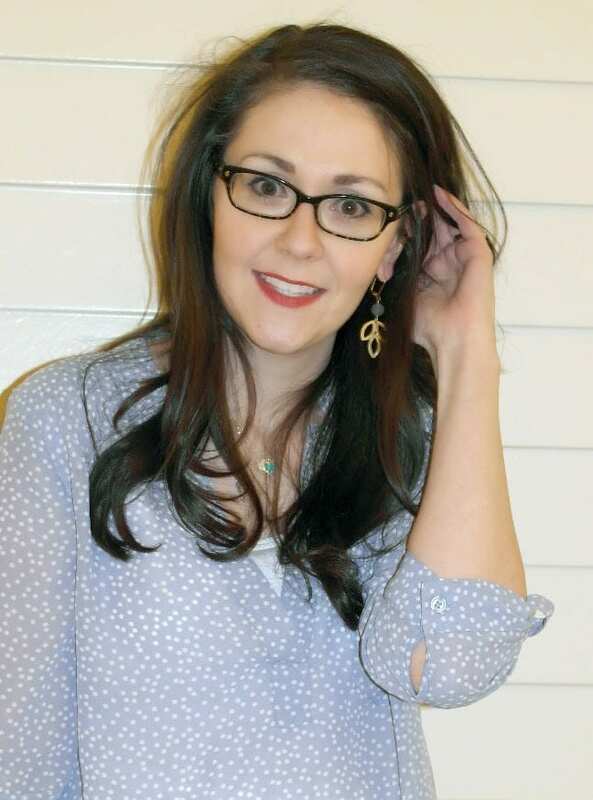 Jo is from Oregan, and so are these earrings! Jo picked those up in the store where she works at a retail manager so that I’d have a little something from her state. They’re made of gorgeous gray agate! I didn’t know that Crabtree & Evelyn made fingernail polish, but this is Jo’s favorite, and I can see why! It goes on great and lasts more than one or two days. 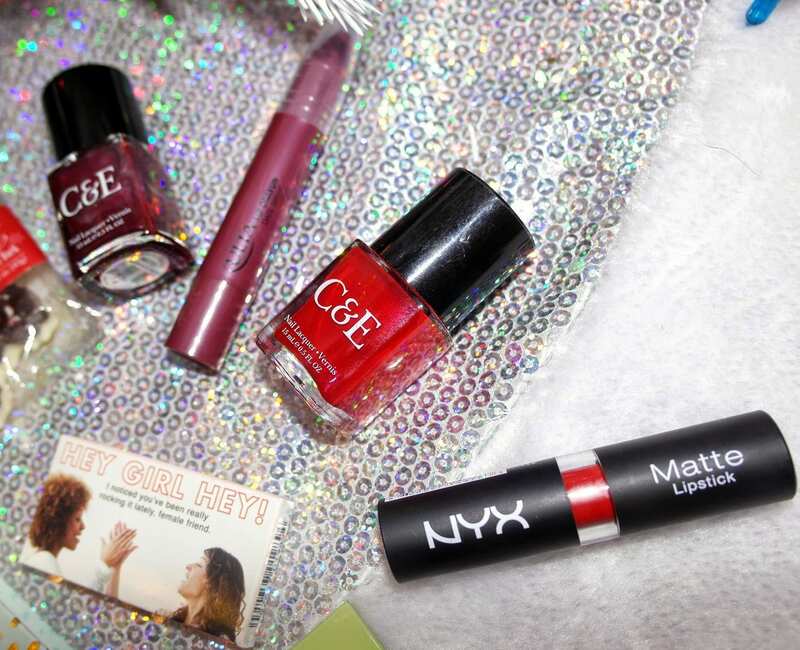 These lip products are also favorites of hers–Ulta Lip Crayon and NYX Matte Lipstick. She nailed all of these products on the head! To complete the gift, Jo also got me this shirt from Maurices, which pairs perfectly with the earrings! When I opened my gift, I was careful not to look at the name on the package or the card that was with it because I wanted to try to guess who it was from. 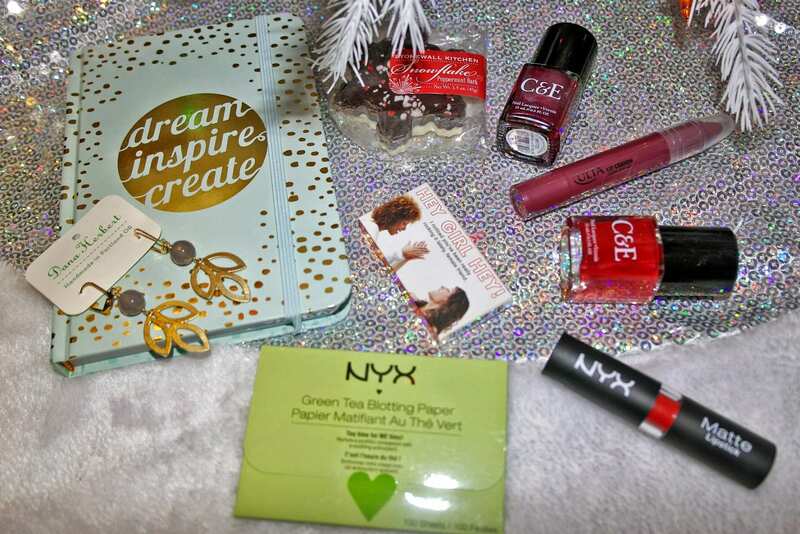 As soon as I saw the Maurices tag, I knew Jo was my Secret Santa culprit:) Oh, and the NYX lipstick is called Perfect Red. I can see why! I never thought I could wear a true red lipstick, and this changed my mind! Thanks, Jo, for my perfect Secret Santa gifts! I’m pretty sure we’re beauty and style sisters!!!! Be sure to check out Jo’s Instagram to get some great outfit ideas! 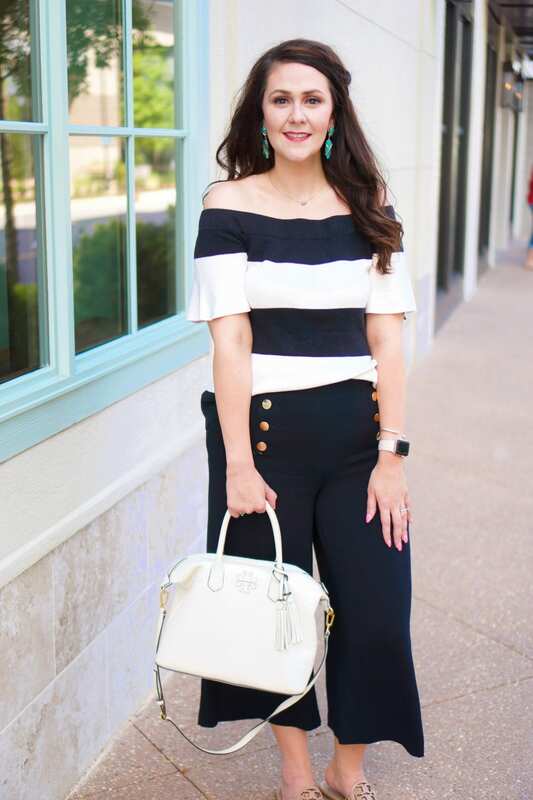 You should also check out the rest of the ladies who participated (but aren’t already mentioned in this post): Vanessa from What Would V Wear/@whatwouldvwear and Jillian from Cup of Charisma/@cupofcharisma. P.S. It was way too cold outside to take pictures!!! And that bag??? Christmas gift from my mom:) Thanks, Mom! 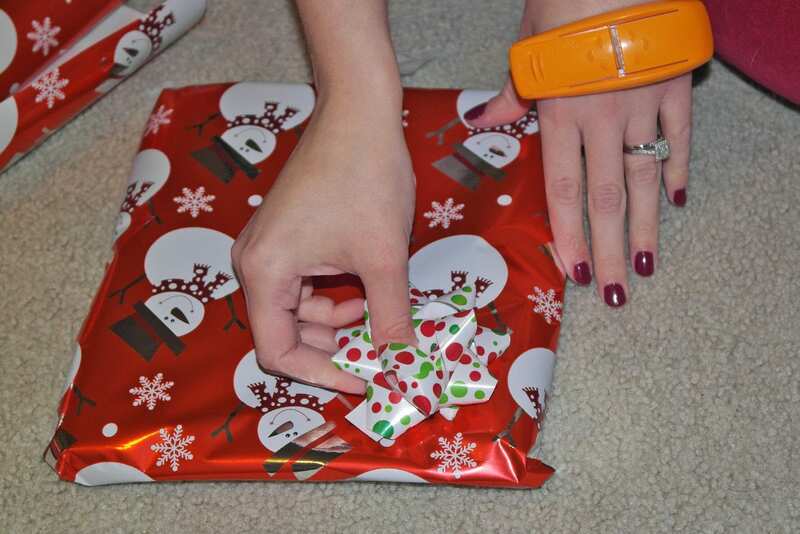 Did you do any Secret Santa exchanges? If so, how’d they go??? That notebook is adorable! What a fun exchange! Cute gifts you got there! I love Nyx products! Awww love it all SO much! and I love that you knew it was Jo before you even checked! Also, I am so excited to check out this awesome nail polish that you both seem to love! These are some cute things! I did a gift exchange through instagram this year too and it was so much fun getting a surprise in the mail and getting to know another instagrammer! 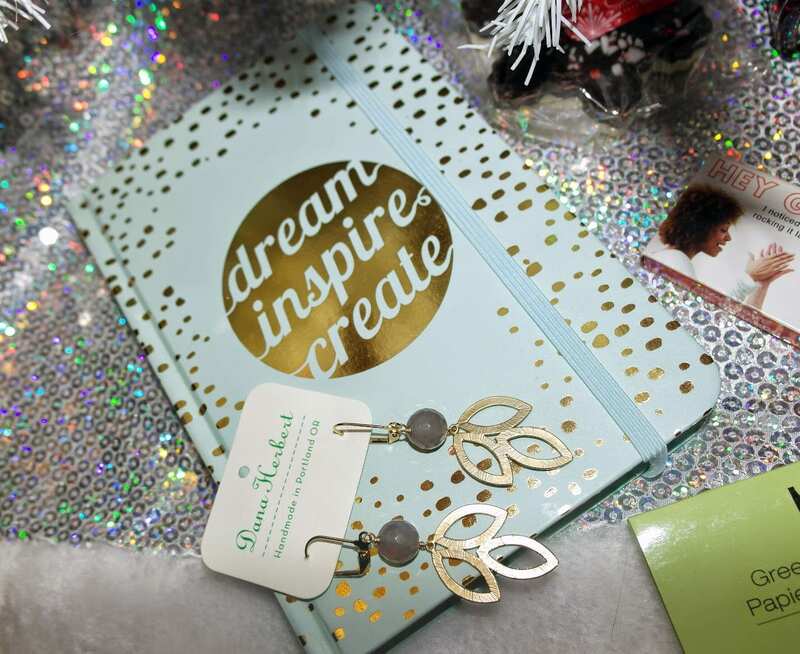 Love those earrings and that notebook! And, the top is so cute on you! She sure did a great job. Me too! It's a newly discovered but deeply abiding love! Let us know what you think! It's been great so far! Thanks for setting up everything! Did you do the one hosted by @ashtonwearsthings or a different one? It is a lot of fun!! !